33mm Steel Hexagon Head Self Drilling Screw. Ideal for fixing cladding to steel constructions that are up to 3mm thick. The TEK screw comes with washer. 100 pieces per bag. 45mm Steel Hexagon Head Self Drilling Screw. 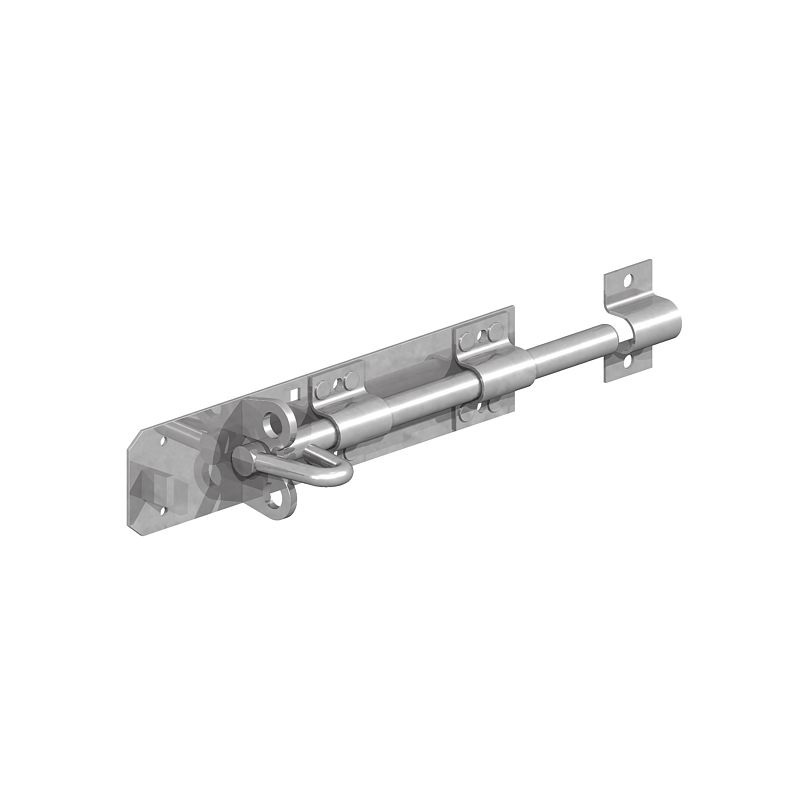 Ideal for fixing cladding to steel constructions that are up to 3mm thick. The TEK screw comes with washer. 100 pieces per bag. 75mm Steel Hexagon Head Self Drilling Screw. Ideal for fixing cladding to steel constructions that are up to 3mm thick. The TEK screw comes with washer. 100 pieces per bag. 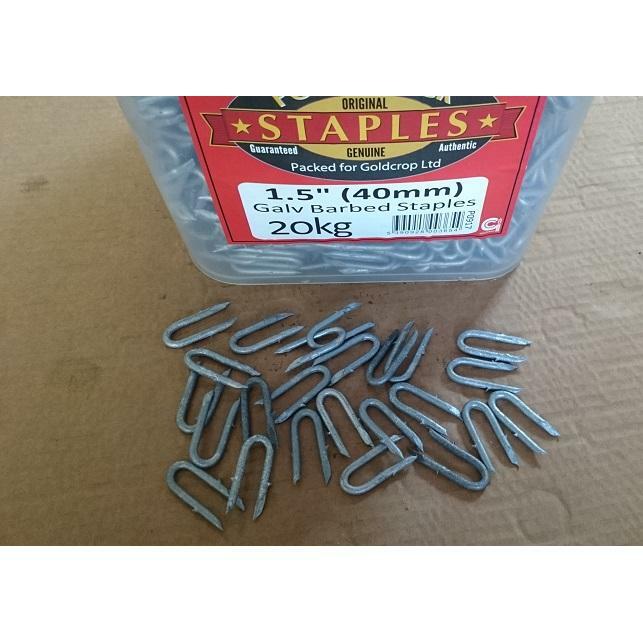 1 kg pack of 30mm long x 3mm thick galvanised steeples used for fixing wire, ropes, cables, field fence, barbed wire and rabbit wire to wooden posts. 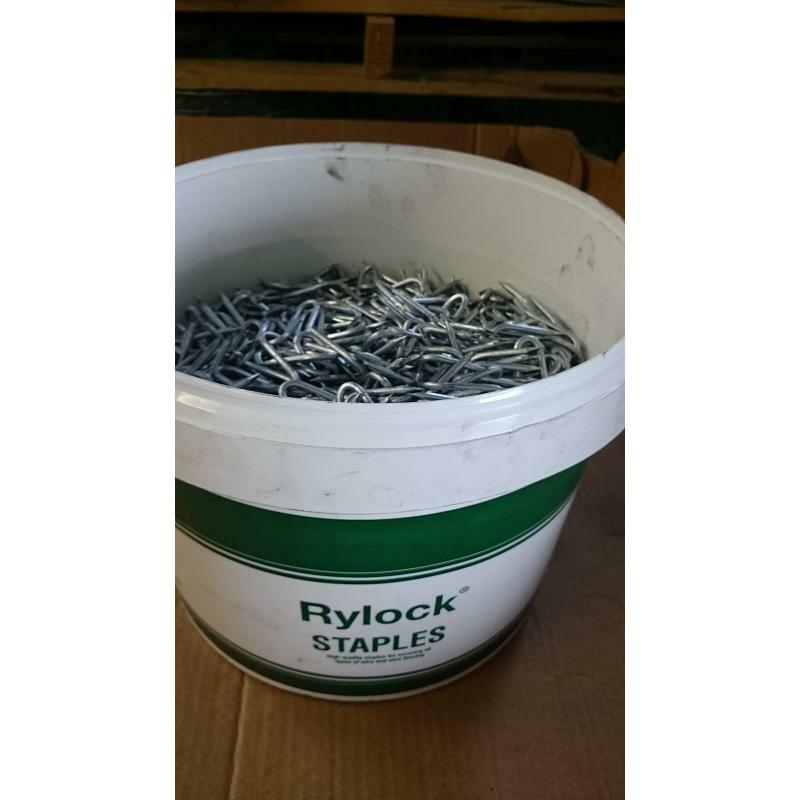 20kg bucket of 30mm long x 3mm thick galvanised steeples used for fixing wire, ropes, cables, field fence, barbed wire and rabbit wire to wooden posts. 1 kg pack of 40mm long x 4mm thick galvanised steeples used for fixing wire, ropes, cables, field fence, barbed wire and rabbit wire to wooden posts. 10kg bucket of 40x4mm galvanised steeples used for fixing wire, ropes, cables, field fence, barbed wire and rabbit wire to wooden posts. 20kg bucket of 40x4mm galvanised steeples used for fixing wire, ropes, cables, field fence, barbed wire and rabbit wire to wooden posts. 20kg bucket of Tinsley steeples, 40 x 4mm galvanised steeples. Fence staples are used in agriculture and gardening, viticulture and fruit growing building animals coops and plants trellises. Fixing wire, ropes, cables, field fence, barbed wire and rabbit netting to wooden posts or stakes. Heavy steel staples can be used to install or repair wire fencing. 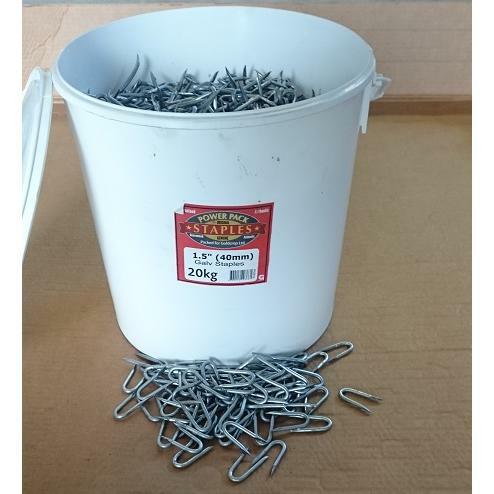 20kg bucket of 40x4mm barbed galvanised steeples used for fixing wire, ropes, cables, field fence, barbed wire and rabbit wire to wooden posts. 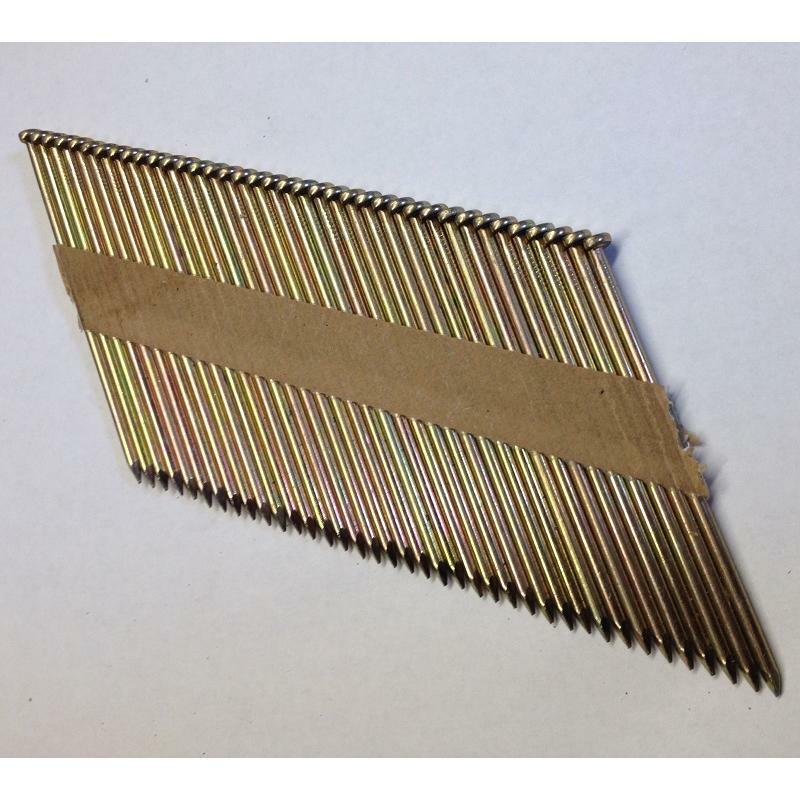 1 kg pack of 50mm long x 4mm thick barbed galvanised steeples. Mostly used for fixing insultube in electric fencing on to posts but also used for fixing wire, ropes, cables, field fence, barbed wire and rabbit wire. 5 kg pack of 50mm long x 4mm thick barbed galvanised steeples. Mostly used for fixing insultube in electric fencing on to posts but also used for fixing wire, ropes, cables, field fence, barbed wire and rabbit wire. 20kg bucket of 50mm long x 4mm thick barbed galvanised steeples. Mostly used for fixing insultube in electric fencing on to posts but also used for fixing wire, ropes, cables, field fence, barbed wire and rabbit wire. 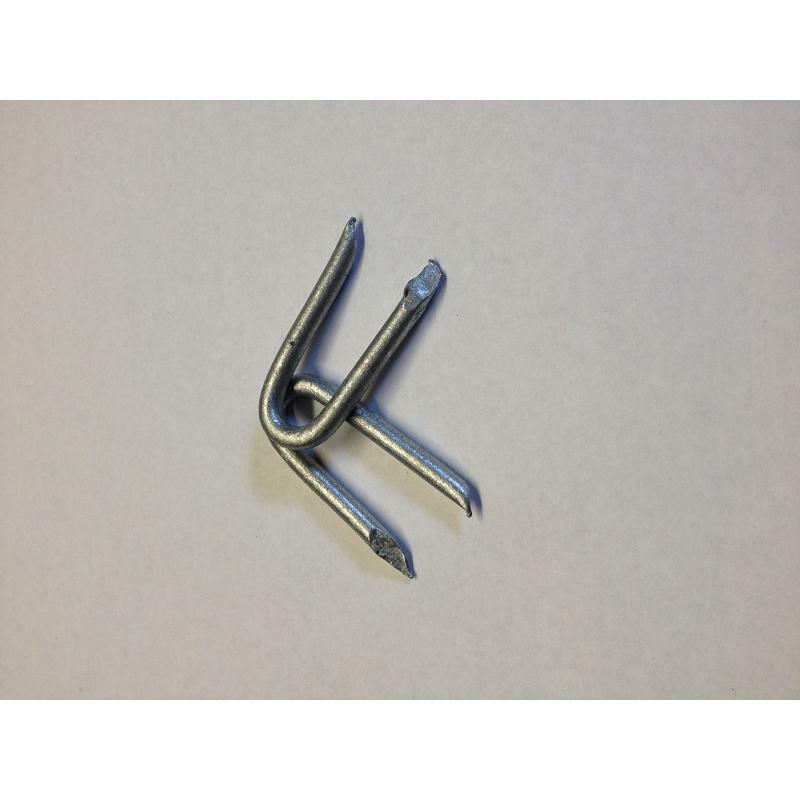 2″ nails for Nail Gun, galvanised & smooth. Suitable for most construction requirements including fencing, roofing, tongue and groove paneling, beading, window casing, MDF fixing among others. Features: diamond point tip prevents wood splitting, lost head for hidden fixings. – Box contains approx 3300 nails and gas. 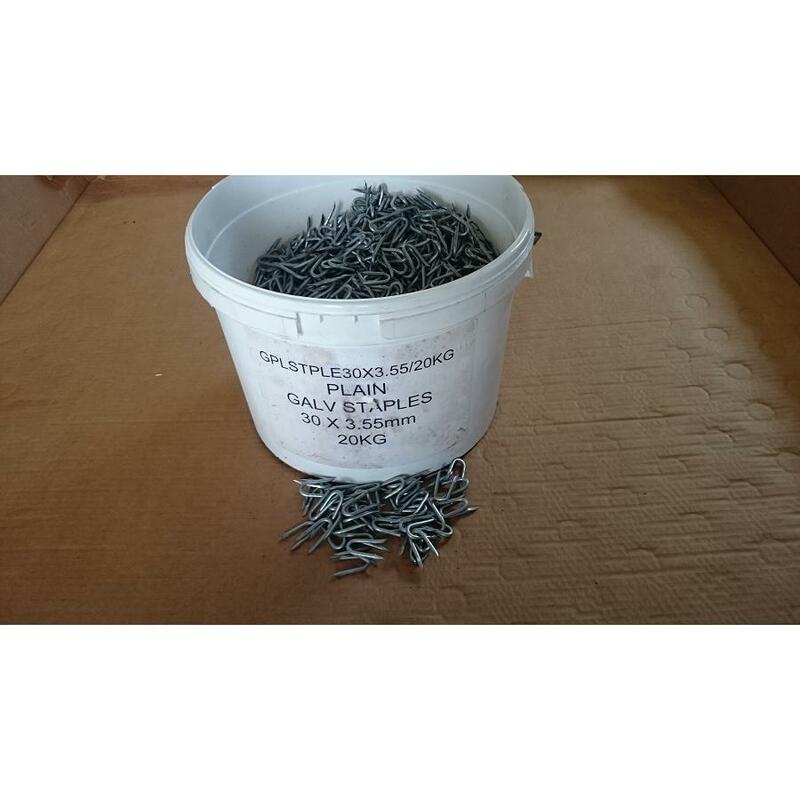 2.5″ nails for Nail Gun, galvanised & smooth. Box contains approx 3000 nails and gas. 3″ nails for Nail Gun, galvanised & smooth. Box contains approx 2500 nails and gas. 90mm (4″) nails for Nail Gun, galvanised & smooth. Box contains approx 2200 nails and gas. M4 x 25mm (box 500). High quality posi chipboard screws, sharp point, parallel shank, single thread case hardened steel, yellow passivated coating. 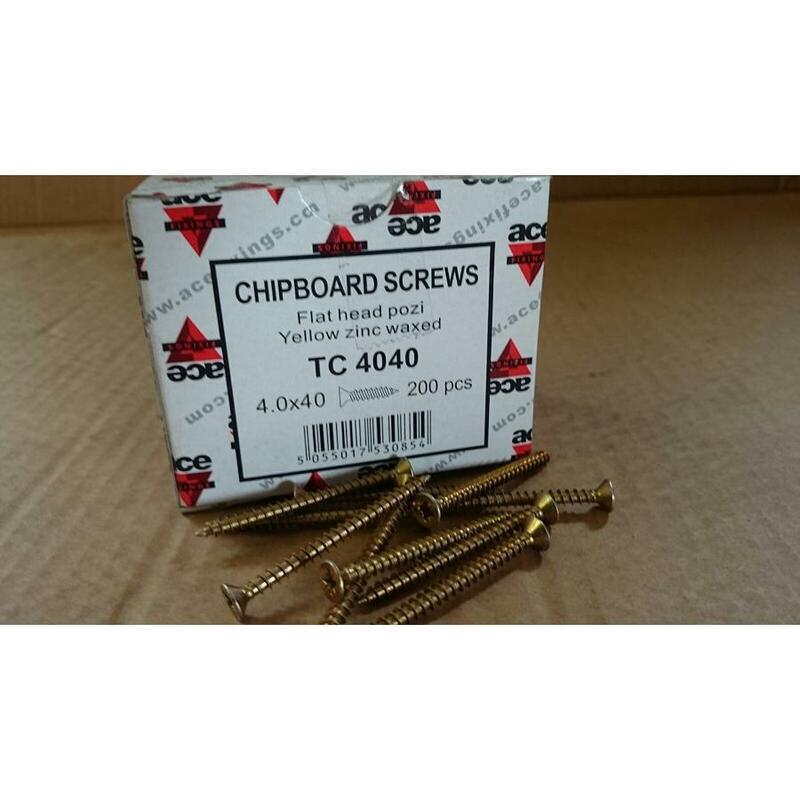 M5 x 40mm (box 200) high quality posi chipboard screws, sharp point, parallel shank, single thread case hardened steel, yellow passivated coating. 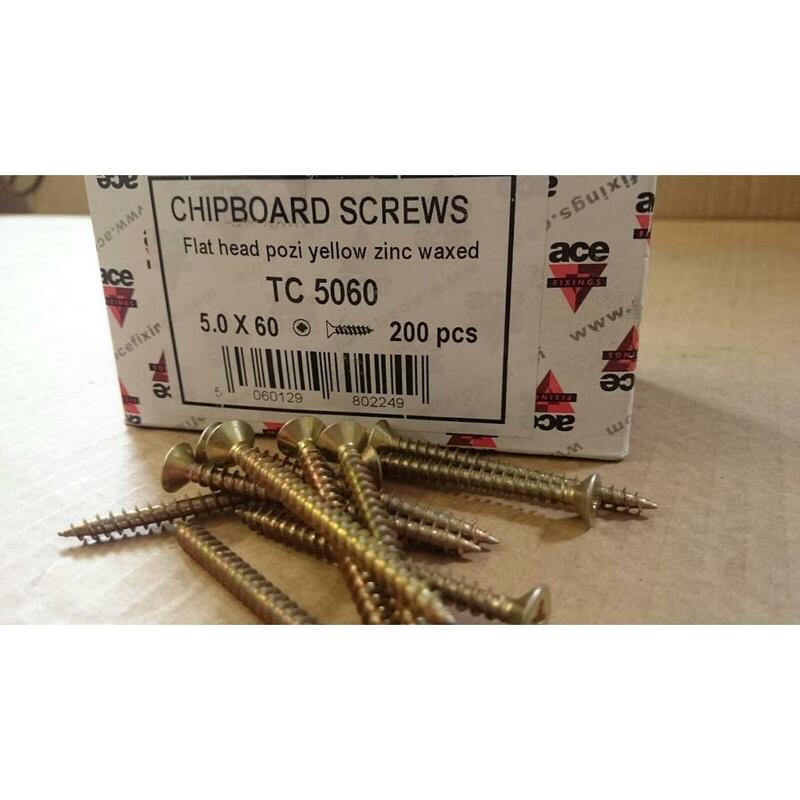 M5 x 60mm (box 200) high quality posi chipboard screws, sharp point, parallel shank, single thread case hardened steel, yellow passivated coating. 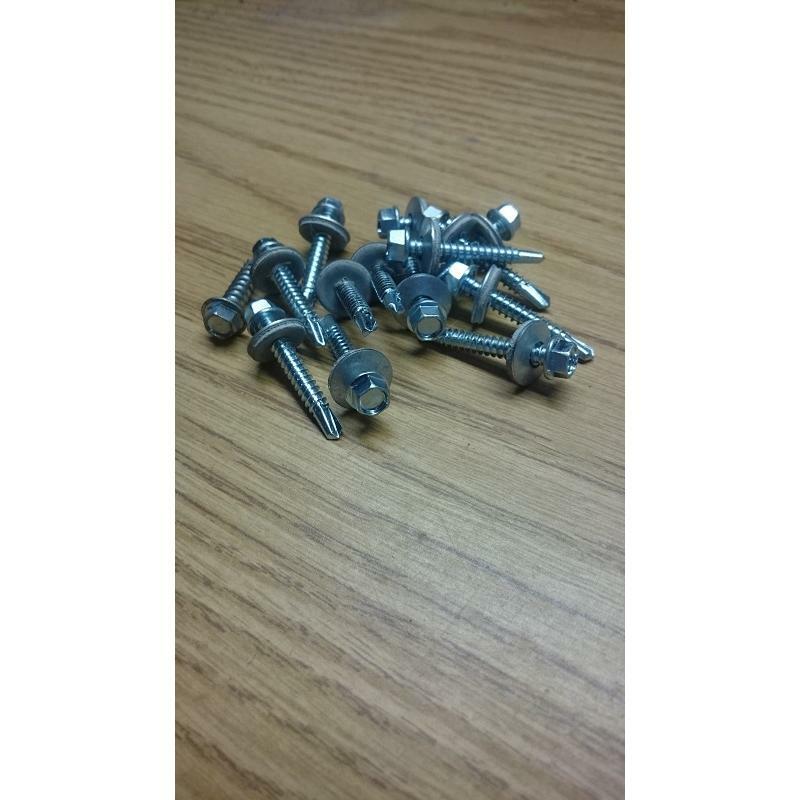 M5 x 70mm (box 200) high quality posi chipboard screws, sharp point, parallel shank, single thread case hardened steel, yellow passivated coating. M5 x 90mm (box 100) high quality posi chipboard screws, sharp point, parallel shank, single thread case hardened steel, yellow passivated coating. 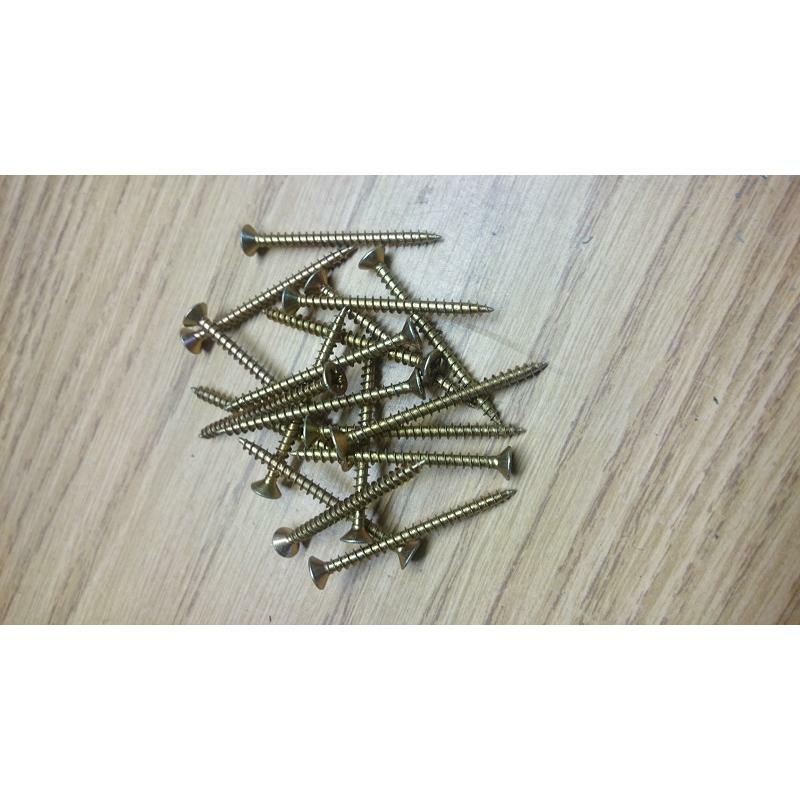 M6 x 100mm (box 100) high quality posi chipboard screws, sharp point, parallel shank, single thread case hardened steel, yellow passivated coating. 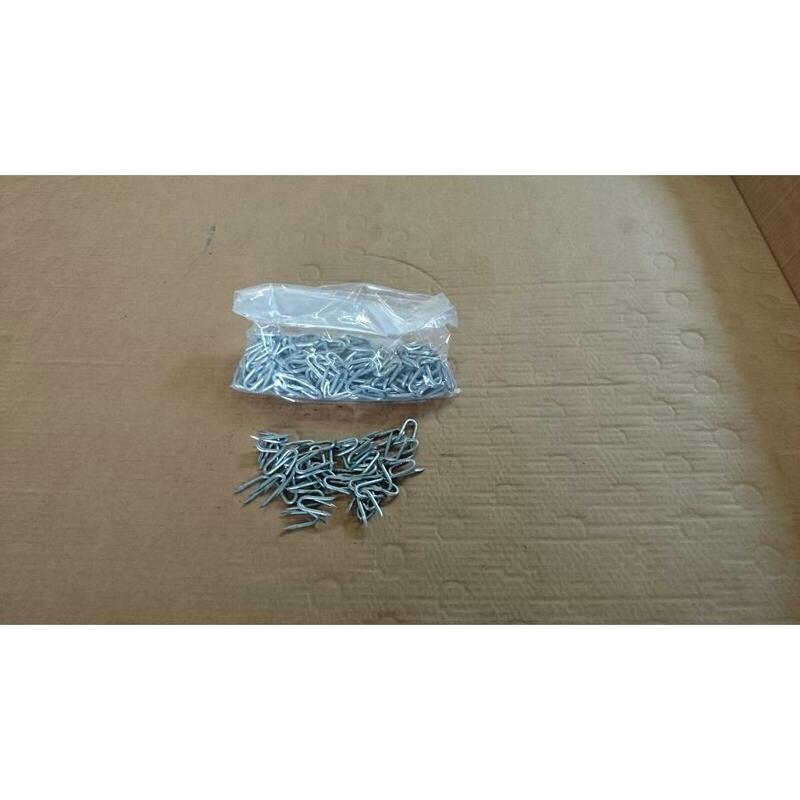 M6 x 120mm (box 100) high quality posi chipboard screws, sharp point, parallel shank, single thread case hardened steel, yellow passivated coating. M6 x 150mm (box 100) high quality posi chipboard screws, sharp point, parallel shank, single thread case hardened steel, yellow passivated coating.